Hello everyone! I hope you are excited about today’s Super Scarf Blog Hop! 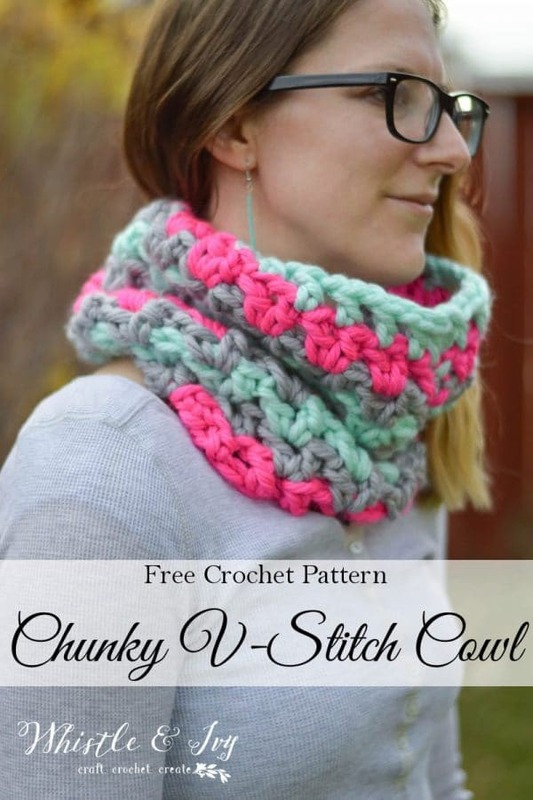 There are so many gorgeous super scarf patterns, be sure to click around to each one. Mine is called the Smoky Mountain Super Scarf. I rognally thought this oversized scarf would take me awhile to complete, but I really finished it in two evenings (after the kids were in bed). This lovely chunky yarn works up fast, so you can be snuggling in this cozy scarf in no time at all. Also, I am IN LOVE with gray and hot pink. 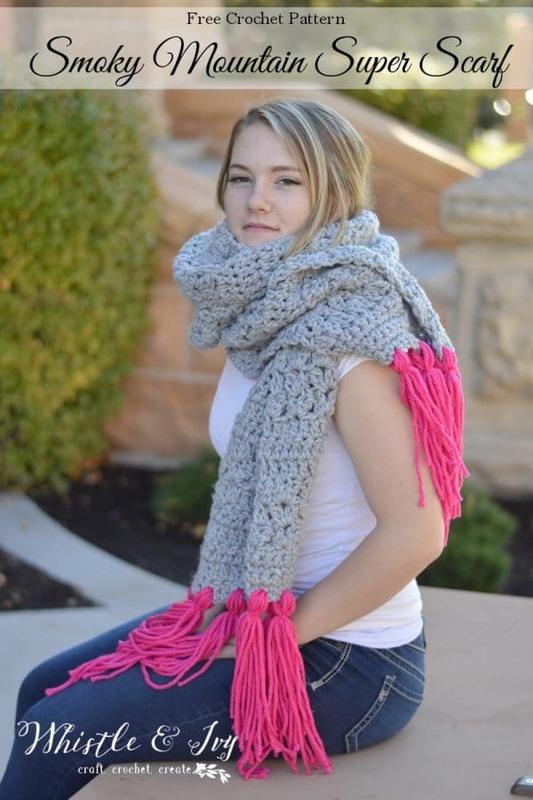 This Autumn Frost Slouchy could go perfect with this super scarf! I think I found my new favorite accessory. I have never been a huge cowl fan until today. Not that I HATED them, I just had a hard time finding one (or making one) that I loved. 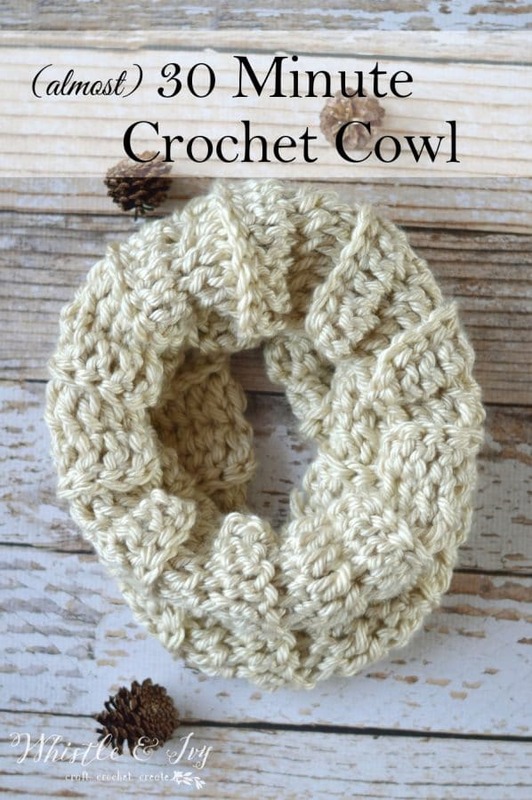 My (almost) 30 Minute Cowl is easy and cute, but it’s not my go-to scarf. 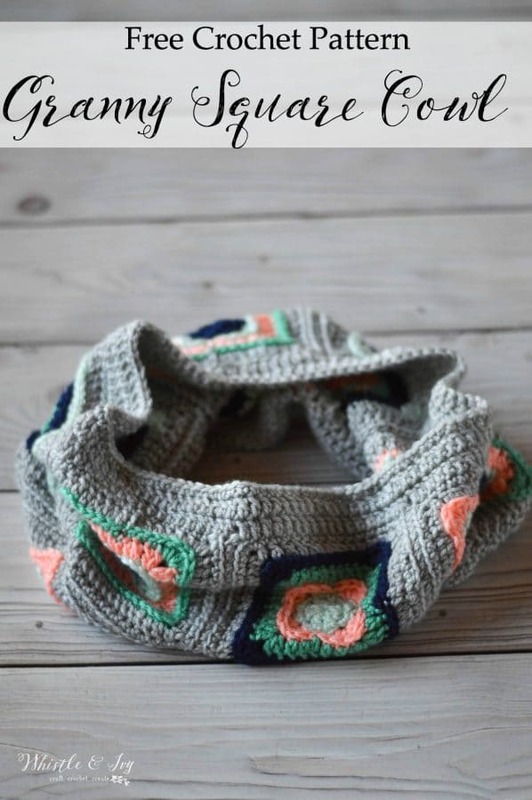 As I pulled out my hook and yarn to design this cozy Chunky V-Stitch Cowl, I decided I would try and make it with 3 balls only. This led me to make it rather small around the neck. It was such a happy result! I am now understanding that all my cowls have been too big for my liking. 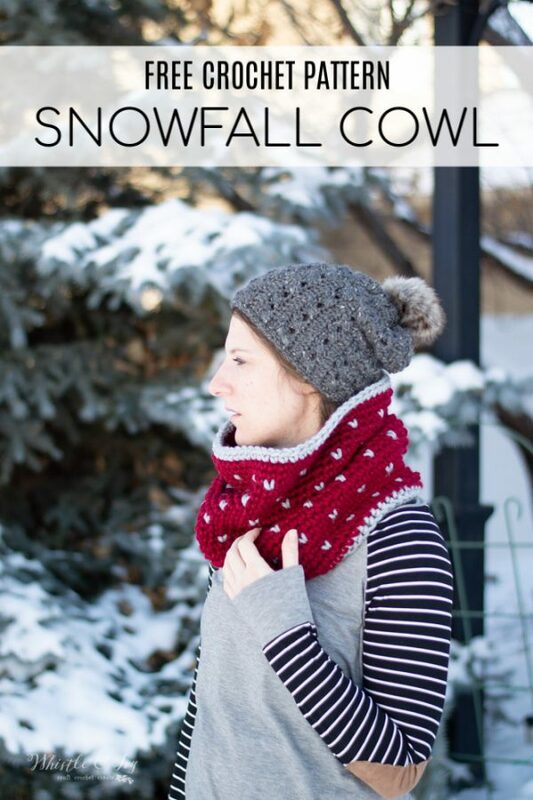 Next time I made my 30 Minute Cowl, I will work at least 3 fewer rows, so it’s cozy and snug around my neck. You learn something new every day, I guess!